Ms. Cupcake » Catch Ms. Cupcake in Manchester! Ms. Cupcake > News > Cupcake News > Catch Ms. Cupcake in Manchester! Catch Ms. Cupcake in Manchester! Looking for some tasty plans this weekend? You can catch Mellissa Morgan, a.k.a. 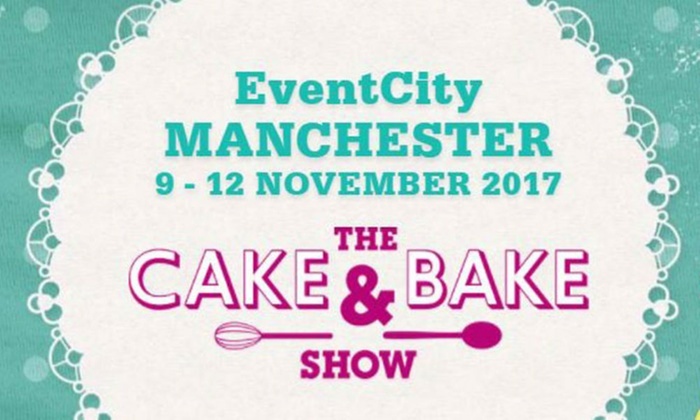 Ms. Cupcake, doing a live ‘Vegan Baking 101’ demo at the Cake & Bake Show Manchester this Sunday 12th November! There’ll be plenty of market stands, live demos and a kids’ zone, so it’s great for all the family! Ms. Cupcake will be sharing her tips on how to bake and decorate vegan cakes like a pro and how to confidently replace ‘traditional’ ingredients for allergen friendly alternatives! The show will be taking place at EventCity in Manchester between 9th – 12th November. You can catch Ms. Cupcake on Sunday 12th November between 4.20pm – 5pm. Find out more info about the demo and book your tickets here! This entry was posted on Wednesday, November 8th, 2017 at 12:25 pm and is filed under Cupcake News. You can follow any responses to this entry through the RSS 2.0 feed. Both comments and pings are currently closed.